It's been a year since Reckless love released their last album, Animal Attraction. To coincide with their month-long UK tour they have decided to release an EP - Born to break your heart. The EP's title track is a remixed version of a song from the Animal attraction album. Alongside this we get three live tracks, a previously unreleased song left over from the Animal Attraction album recordings, and three acoustic tracks including a cover of the Thin Lizzy classic "The boys are back in town". The EP comes in a gatefold sleeve and includes a sheet that folds out to a poster slightly larger than A4 with a band photo on one side and track credits on the other. "Born to break your heart" is a great track on the album, and the remixed version sounds very similar - unless you listened to the two versions one after the other you'd be hard pressed to spot the differences. "Push" is a great track and it says a lot about how strong the tracks on "Animal attraction" are for this to not make the final album. Reckless Love are a great band to see live, and the inclusion of the live tracks on the EP is a great idea - it shows how good they sound when playing live. The sound is very clear with plenty of power. There's nothing said about where the the first two live tracks were recorded but I'm guessing Finland somewhere as during "Beautiful bomb" Olli says something to the crowd in what sounds like Finnish, and since "Hot" is described as having been recorded in Helsinki then I'm guessing the other two were as well. The Thin Lizzy cover is a track I can see dividing opinion. Rather than doing a straight cover the band have opted for an acoustic version and also not done a straight copy, instead putting their own spin on it. They certainly sound like they were having fun doing it. 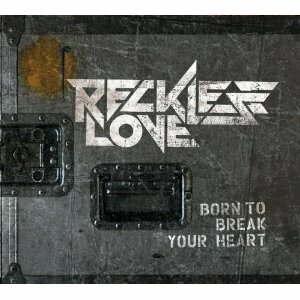 This is definitely an EP that Reckless Love fans are going to want to buy. The live tracks, the acoustic tracks and the previously unreleased track make this release very appealing and a great addition to fans CD collections.